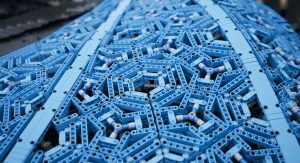 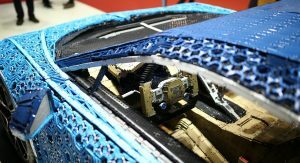 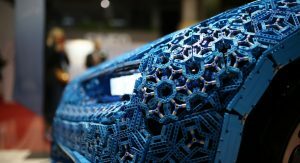 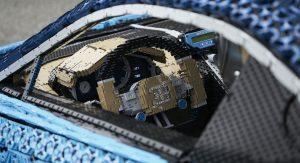 Over 13,000 man-hours were needed in order to complete this project, using 2,304 little motors from the Lego Power Function series, plus 4,032 Technic gear wheels. 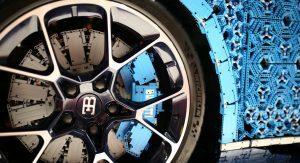 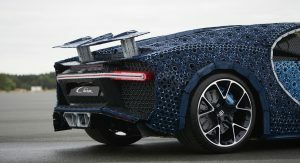 The end result is a Bugatti Chiron replica weighing 1.5 metric tons. 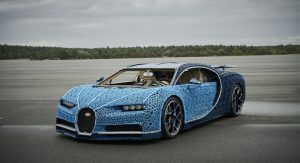 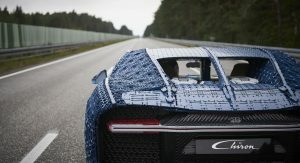 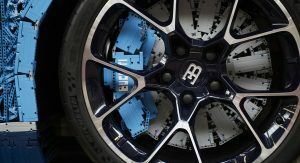 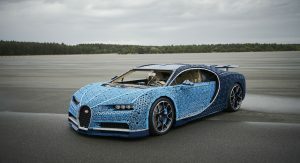 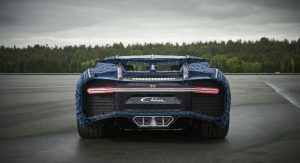 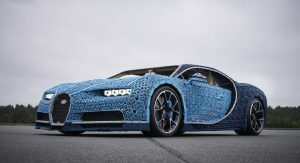 According to the Danish toy company, the LEGO Chiron produces 5.3 horsepower (4 kW) and 68 lb-ft (92 Nm) of torque, allowing you to hit a top speed of just over 12 mph (20 km/h), a little over half as fast as Usain Bolt. 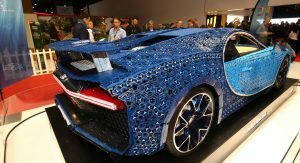 Altogether, more than a million LEGOs were used, of which 339 were different types of pieces. 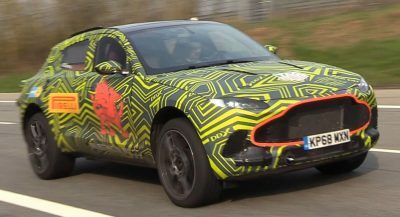 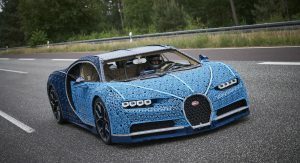 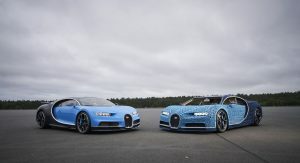 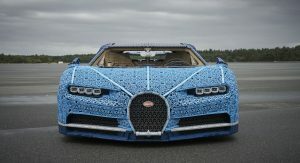 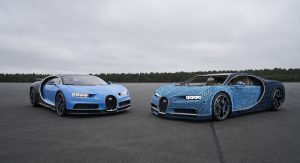 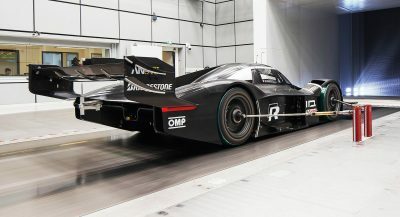 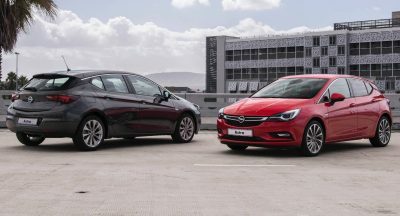 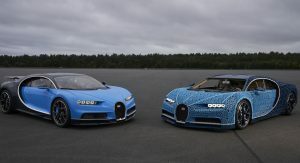 Still, as if that wasn’t enough of a “stunt”, the car was even put to the test by former Le Mans winner Andy Wallace, on location where the real Chiron set its 0-400-0 km/h (248 mph) record last year. 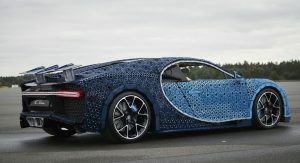 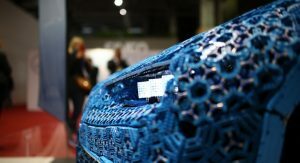 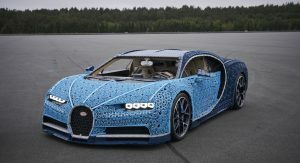 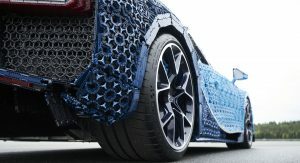 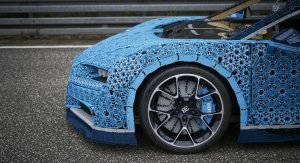 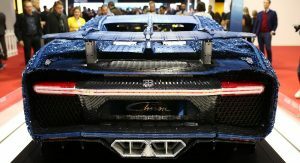 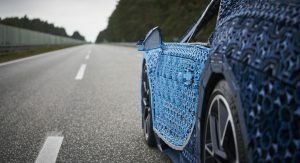 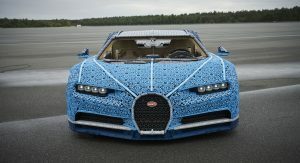 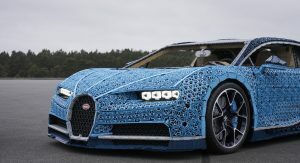 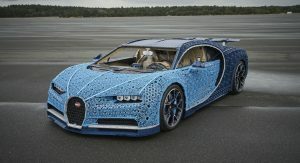 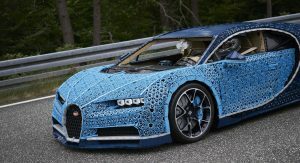 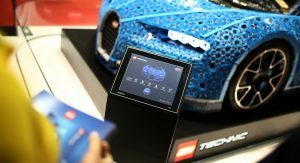 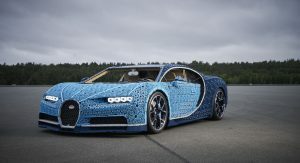 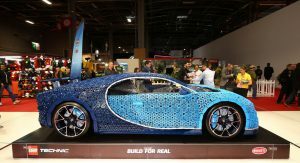 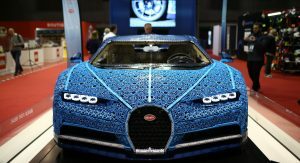 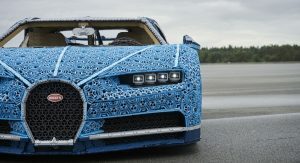 As a 2018 Paris Motor Show participant, the LEGO Chiron has to be among the event’s brightest stars, despite it’s seriously underwhelming performance figures. 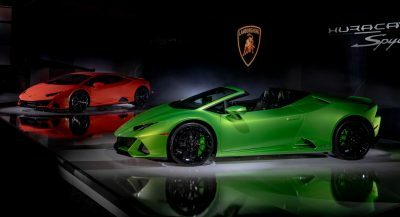 Look at it this way – with so many absentees from this year’s show, visitors are seriously lacking in true blue hypercars to admire, and no, the Ferrari Monza SP1 and SP2 or the R8 LMS don’t count. 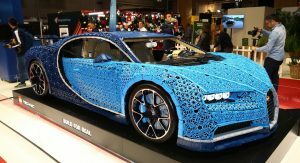 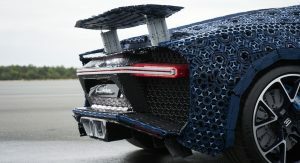 Ultimately, as far as toy cars go, this is probably the most spectacular one ever built, easily surpassing the 1:1 scale McLaren 720S, which also required a great number of individual LEGO bricks – approximately 280,000 of them.